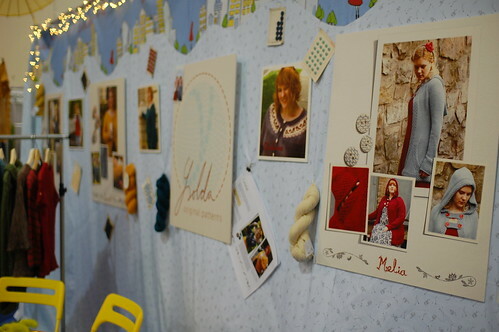 I’m sure you’ve seen Ysolda’s awesome TNNA booth around the internets, but I’ve some photos to share too! Who cares that they’re a little late? Looking into the booth from the aisle. Featuring Olgajazzzy in the middle! I LOVE these posters for Ysolda’s upcoming book, Little Red in the City – those buttons and skeins of yarn were surprisingly difficult to pin up there though! 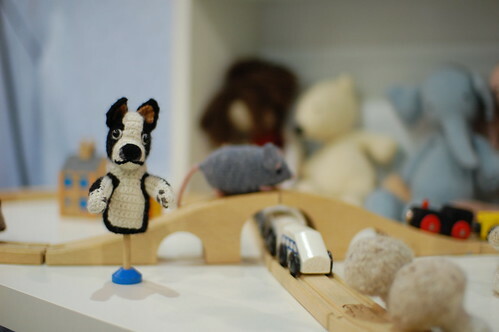 Small Bob hangin’ with the toys and trains. 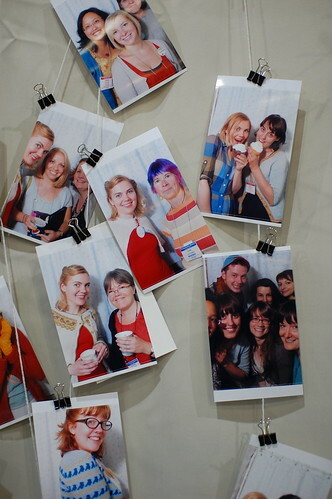 Fantastic photos hanging outside the photobooth. So fun. It’s in Sweetgeorgia Merino Silk DK, and though I didn’t get to wear it in Columbus, I’m back working on it now! Mmmm, silky. Thanks for sharing! 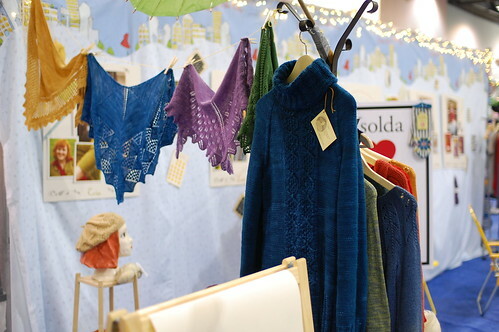 Random question… is there any way that you know the name of the pattern for the blue shawl in the “Gudrun” photo??? Thanks! Small Bob is so adorable. Did you make him or is it another Ysolda exclusive? Thank you so much for sharing the great photos. 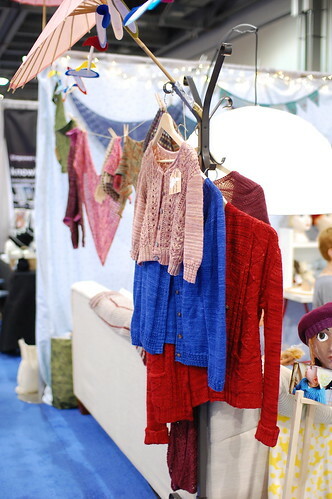 The booth with all the wonderful items looks amazing. Thanks for the pictures! 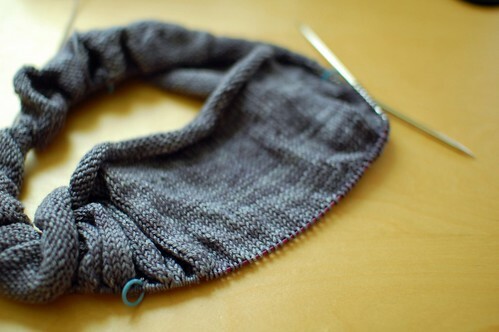 I love everyone’s shawls all hung out on lines so the light goes through the lace patterns. 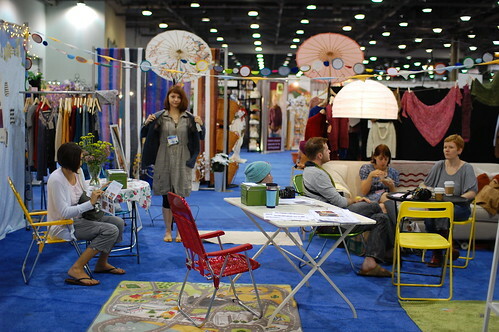 Thanks for allowing us to take a peak at TNNA!!! That yarn is gorgeous. Is compulsive yarn shopping a disease, because I really want to buy more yarn now?